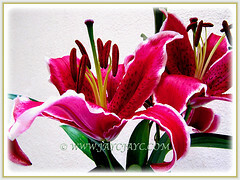 Many species of Lilium produces large and showy flowers and are highly scented. The blossoms come in numerous and varying explosive colours. The Lilies make excellent cut flowers. Great to include this beauty as it will add fragrance to your garden. 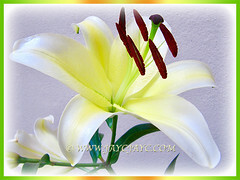 Etymology: The genus name Lilium comes from the Classical Latin word, meaning lily. Origin: Native to Southeast Asia, southern China, Madagascar and Africa. It widely cultivated elsewhere around the globe. 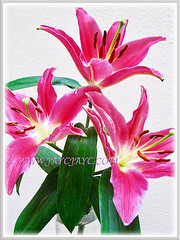 Features: Lilium spp. 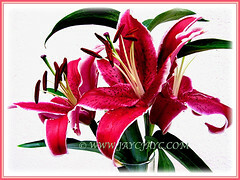 (members of which are true lilies) is a genus of herbaceous flowering plants. It is from the genus, Lilium that consists of about 600-700 known species of flowering plants, growing from bulbs or rhizomes. 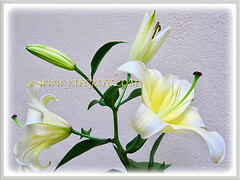 Lilies are tall perennials ranging in height from 60–180 cm. They form naked and scaly underground bulbs which are their overwintering organs. The leaves are linear in shape, with their veins usually arranged parallel to the edges, single and arranged alternating on the stem or in a rosette at the base. Flowers are borne in racemes at the tip of the stem.It is a six-tepaled flower in varying shapes, either spreading or reflexed, trumpet, funnel and cup. The tepals are free from each other and bear a nectary at the base of each flower. The ovary is superior and borne above the point of attachment of the anthers. Eventually, each flower will be followed by a three-celled fruit capsule. The seeds are dispersed by wind and water. Culture (Care): Lilium spp. can be easily grown with least maintenance. Moisture: Moderate water requirements. Do not allow soil to dry out but never waterlogged. Others: Remove flowers as they fade to prevent seed from setting and to encourage bulb growth. After bloom, cut plants back only after leaves and stems turn yellow. Cut down to ground level once foliage has died off completely but not before. However, avoid cutting off more than a third of the stem which can reduce the plant’s vigor and longevity. Taller plants may need staking if grown in too much shade as the stems will weaken or in locations exposed to strong winds. 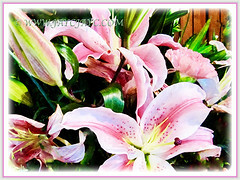 Feed Lilies at least twice during their growing cycle. It is important to fertilise the bulbs again after they have finished flowering as this will provide the bulbs with the energy to repeat flower again the following year. Do not over fertilise as it may create lush green foliage and less flowers. Take note that some species are poisonous if eaten and can have adverse health effects in humans and household pets. Generally free from serious pests and diseases. However, do watch out for aphids, thrips and beetles such as the Japanese red lily beetle. For subtropical and temperate regions: Hardiness: USDA Zone 3-8. 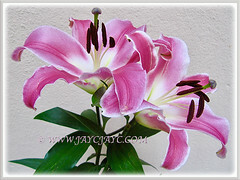 Lilium or Lily does not thrive in Zones 9-10 without a period of refrigeration as they need a cold and dormant period. Mulch around plants to keep root zones cool. Plant bulbs 10-15 cm deep in fall. Potted plants may be planted any time from spring to fall. Bulbs need good moisture year-round. Do not allow soil to dry out. Remove flowers as they fade to prevent seed from setting. After bloom, cut plants back only after leaves and stems turn yellow. 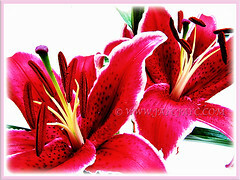 Lilies do not rebloom but you can remove the faded flowers so that the plants don’t waste energy making seeds. Plant these bulbs in fall, a few weeks before the winter brings freezing temperatures. This allows a good root system to develop. Bulbs of the Asiatic lily must have the winter chill to produce big blooms. Propagation: Easily propagated from seeds. Alternatively, by separating the bulb offsets from the mother bulb. Usage: Lilium species or Lilies with their showy and very attractive flowers will be excellent as ornamental plants in any garden. Wonderful as cut flowers as they are long-lasting. Their fragrant flowers will be ideal for borders, cottage gardens or cutting gardens. Suited to be grown in pots or containers but plants and flowers will be a little bit smaller. It is a magnet to bees, wasps, butterflies and moths as the colourful blossoms produce large amounts of nectar/pollen for pollination. 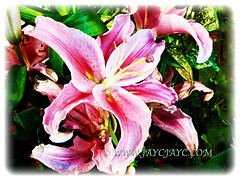 Lilium bulbs, especially Lanzhou lily or Lilium davidii are used as food in China and other parts of Asia.